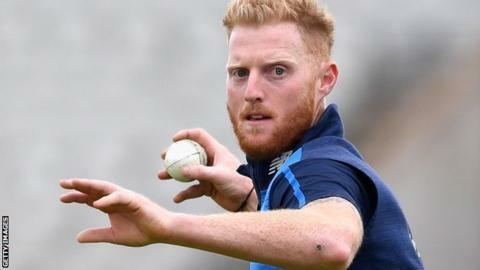 England all-rounder Ben Stokes was arrested on suspicion of causing actual bodily harm after a nightclub incident in Bristol early on Monday. Team-mate Alex Hales, who was with Stokes, will also miss the match and has returned to Bristol to help police. Stokes was held overnight after the team's victory in the third ODI. The team went 2-0 up in the best-of-five series with a 124-run victory on Sunday, in which Stokes made 73. The 26-year-old Test vice-captain was arrested after an incident at about 02:35 BST at the city's Mbargo club which left another man needing hospital treatment for facial injuries. England are due to name their squad on Wednesday for the Ashes tour of Australia. Director of cricket Andrew Strauss indicated Durham player Stokes and 28-year-old Nottinghamshire batsman Hales would be considered on cricketing grounds alone. "Selectors have been instructed to select the Ashes squad based on form and fitness as they normally would do," said England director of cricket Andrew Strauss. England ODI captain Eoin Morgan told BBC Sport: "It has been a little bit of a distraction. As a group we are strong at sticking together and working well as a team. It has the potential to affect the game but not letting that happen is something we will strive to do. "Jason Roy will definitely come in and play and we will make a final call on the other decision in the morning. We will look to bring others up as cover as well." Kent batsman and wicketkeeper Sam Billings has been drafted into the squad for Wednesday's match. This is a police investigation so the ECB is in no position to give any details of what occurred in the early hours of Monday morning. Stokes has worked hard to repair his reputation since being sent home from a Lions tour in 2013 for late-night drinking to the point that he is now England's official vice-captain. The Ashes squad is due to be announced on Wednesday so further developments will be watched with great interest. "We were called to a disorder in Queens Road, Clifton, at around 2.35am on Monday [25 September]. "A 26-year-old man was arrested on suspicion of causing actual bodily harm and has since been released under investigation. "We'd appeal for anyone who was in the Clifton Triangle area in the early hours of Monday who saw any part of this incident, to call Investigations on 101 and give the call handler the reference number 5217218578." "Ben Stokes and Alex Hales will not be available for tomorrow's one-day international match against West Indies at The Oval. "Stokes was held overnight and released under investigation - without charge - late on Monday and will not join the team in London. "Hales, who was with Stokes on Sunday night, did not train this morning and has returned voluntarily to Bristol today to help police with their enquiries. "You will understand that we cannot offer further detail at this stage but will provide any updates when we can." Who made your England Ashes squad?